Finally I’ve found the time put up my next post, the first of a few cute outfits that I’ve been wearing recently. Well, recently when we shot these pics, but since then the weather has turned bitterly cold. Well, bitterly for the North Island of NZ anyway. The weather really started to kick in on Tuesday when we had lightening and massive claps of thunder followed by a sudden and huge! downpouring of hail. The driveway had drifts of it and the the ground was covered in it! Closest to snow we get here I’m afraid, but needless to say, my bros and I took the opportunity to stop our work and school and run out to have a hail fight! Perks of homeschooling, huh? A ton of fun. 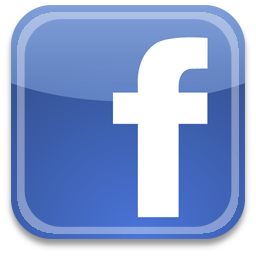 Thinking of starting a Facebook page? What do you all think? I recently joined together with a group of guys to participate in the 48 hour film festival that is held annually in NZ. We created an epic film with the genre we were given – horror. That’s not my kinda thing, but I had such fun putting my acting hobby to use in this short film. The guys I worked with were super talented – hats off to them! Here’s the link if you’re interested – https://vimeo.com/67035550 Had a lot of fun creating this, and I’ll definitely share anymore films that we may make in the future. Bless you all! Lydia’s 21st party tomorrow… lots to do.